the better class of motor vessels found today in pleasure service. 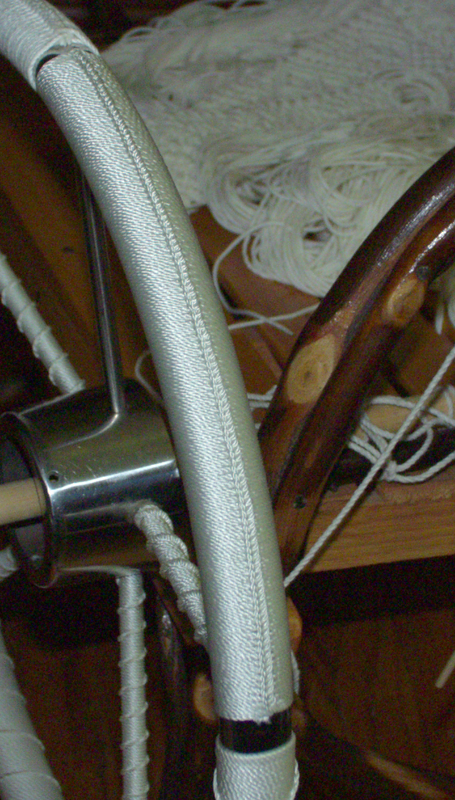 hark back to the days when sail was a "working" form of transportation. turksheads will also affect the final cost. 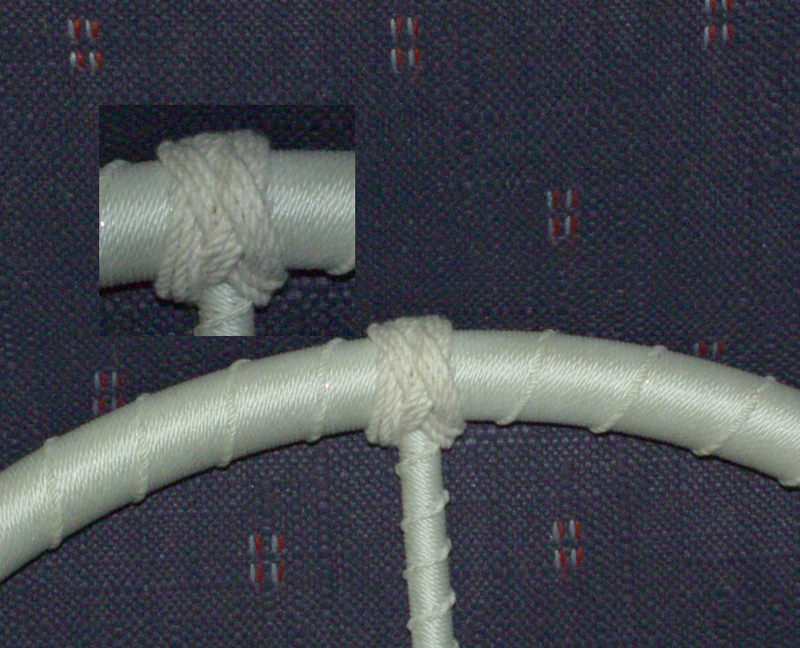 Wheel flemished with "running" or "French"
gap where the stanchion meets the rim. 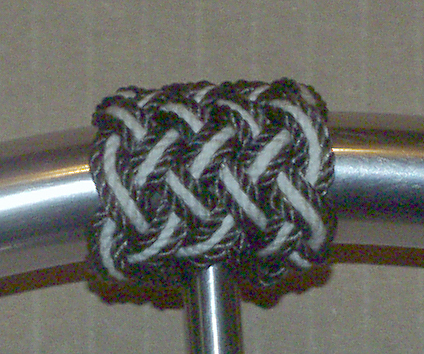 Some of the variations available on a wheel. Click on the picture for some closeups. a series of diamond shapes. 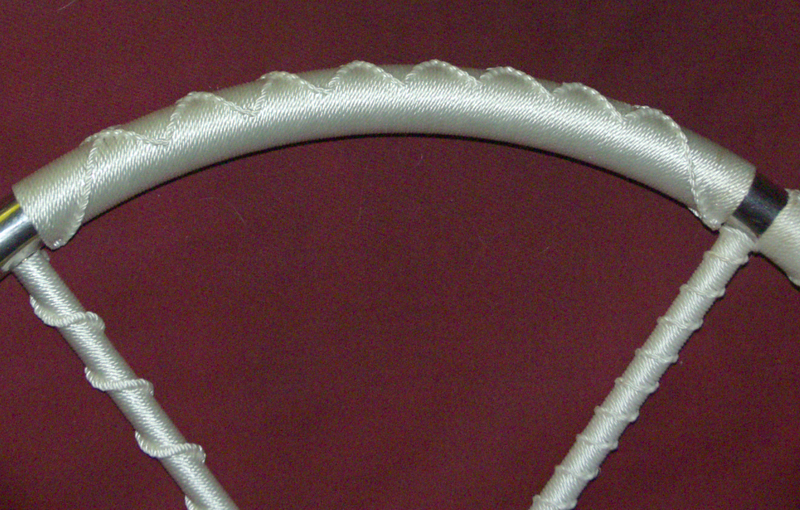 EXCELLENT grip qualities! feature! 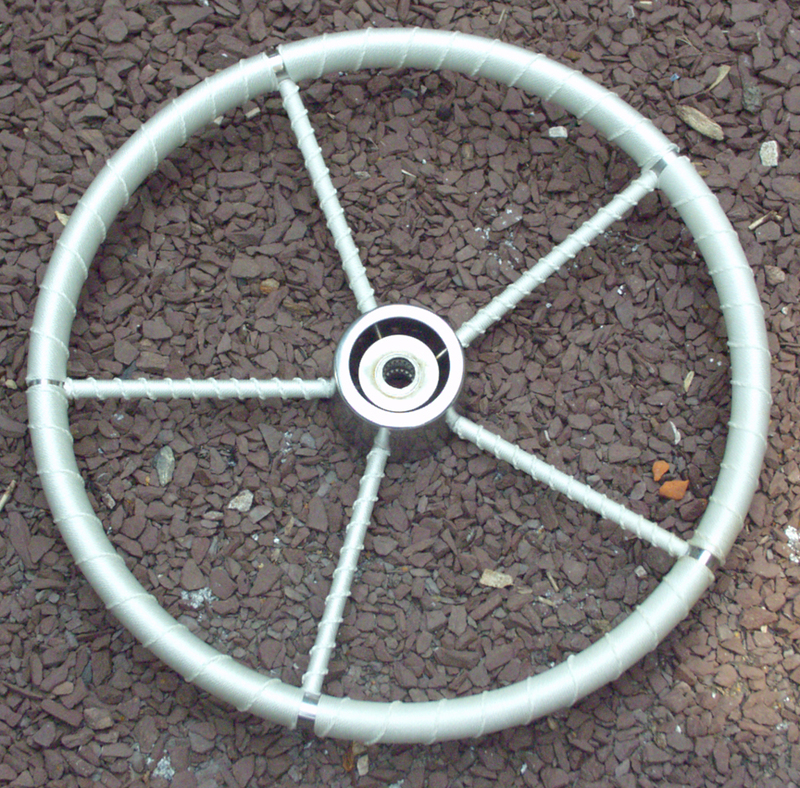 The way a wheel should look, IMO. 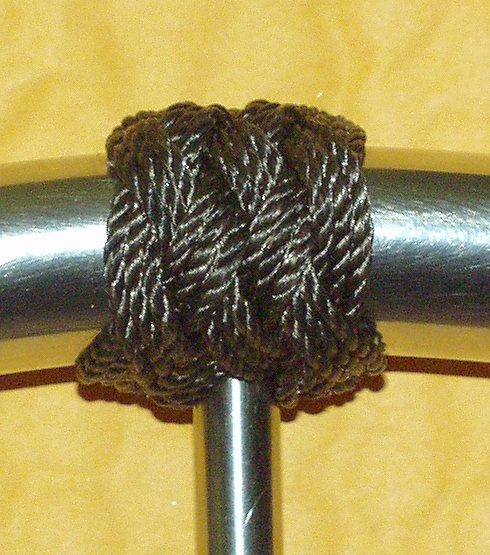 and #15 Nylon to RIGHT. offsets) and split six-pass turksheads at the spokes. 1' dia rim and all in S/Steel (probably by ABI or SCHMITT) takes 3/4"
make and tighten.... Not practical unless you really want the "WOW!" hope you'll consider my services when deciding on fancy work for your craft. 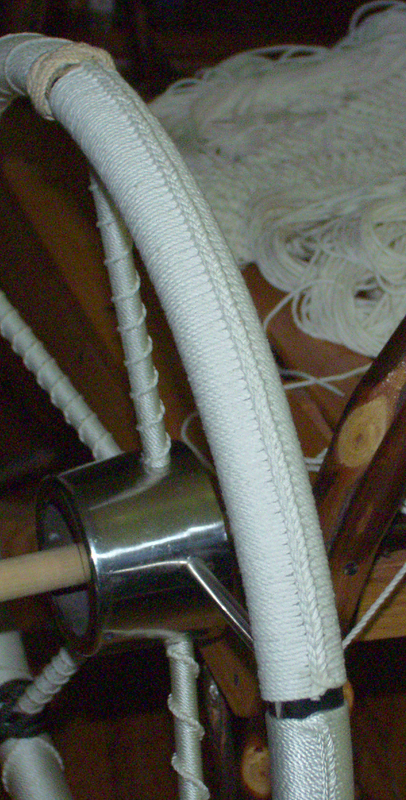 I also do handrails, belts, bags and other fancywork suitable for mariners. 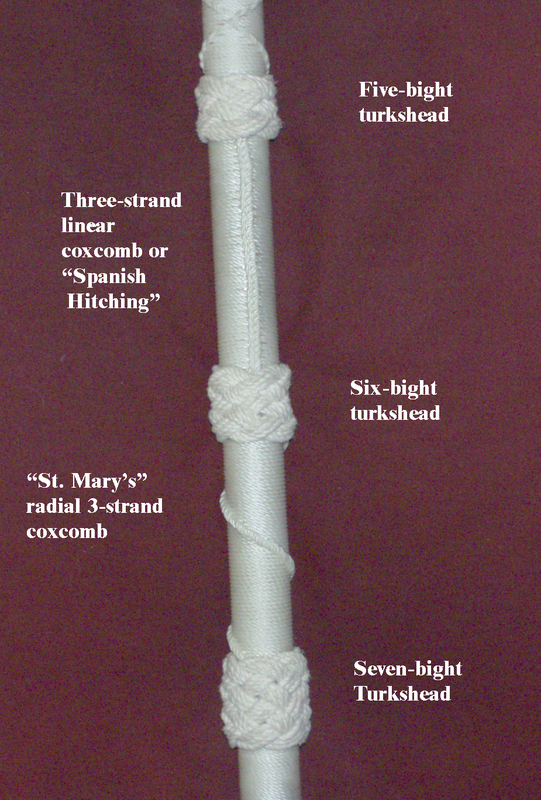 cotton line with two 7-strand turksheads as ends. contractor, who will varnish it on-site. All content these pages ©2004-2018 Frayed Knot Arts. All rights reserved. Reproduction or use prohibited without prior written permission.